My name is Ethan and I make art because it is fun to do with my friends. I often made artistic decisions based on however I was feeling that day or what my friends recommended me to do. My objective in this class was to make as many works with unique materials at possible, especially if I don’t have access to them at home. Therefore my works are made with many different materials and techniques. My art was sometimes hard to connect to me because I tried the best I could to do new stuff, and most of the time, new stuff is new because it doesn’t relate to my life. So I think my art relates to me by not relating to me. Reflection 1. 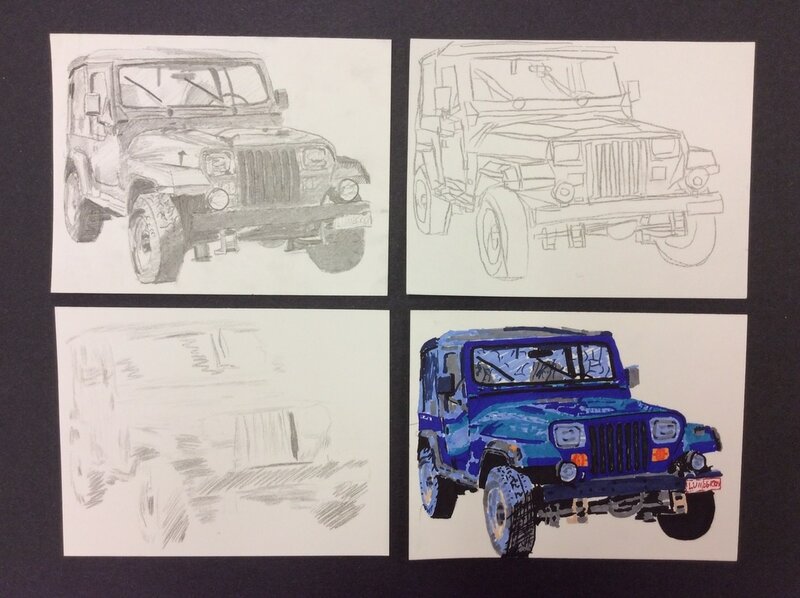 A project I would change this semester was the Jeep project. I was very excited with it but ended up being absent for the majority of the workdays. I wasn’t able to finish and it ended up becoming a broken down Jeep. This was displeasing but I can live with it. I would have not missed those days if I could have. Reflection 2. 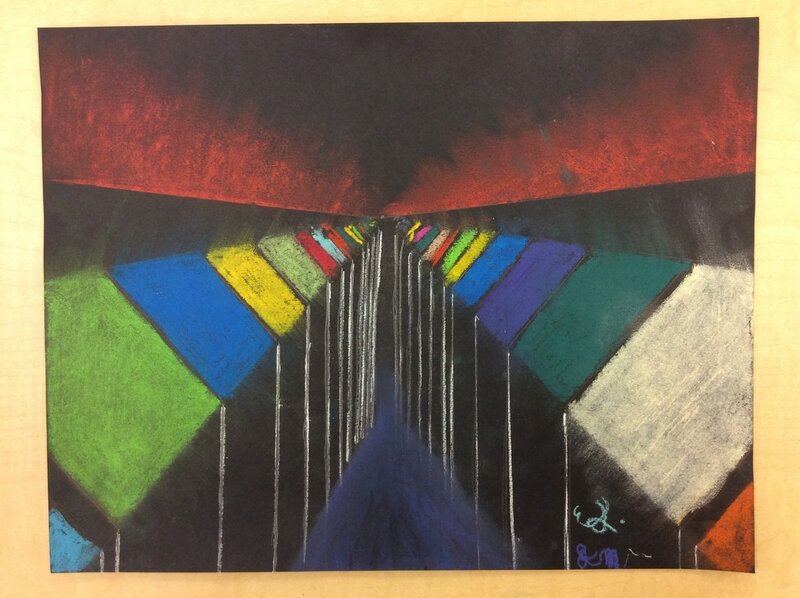 This semester I really enjoyed working with oil pastels. These are pastels made of colorful oil. I really like it because it is easy to correct mistakes with, the colors are very vibrant, and they are soft and pleasant to work with. I made an abstract security cam piece and a nice picture of the Earth. Reflection 3. 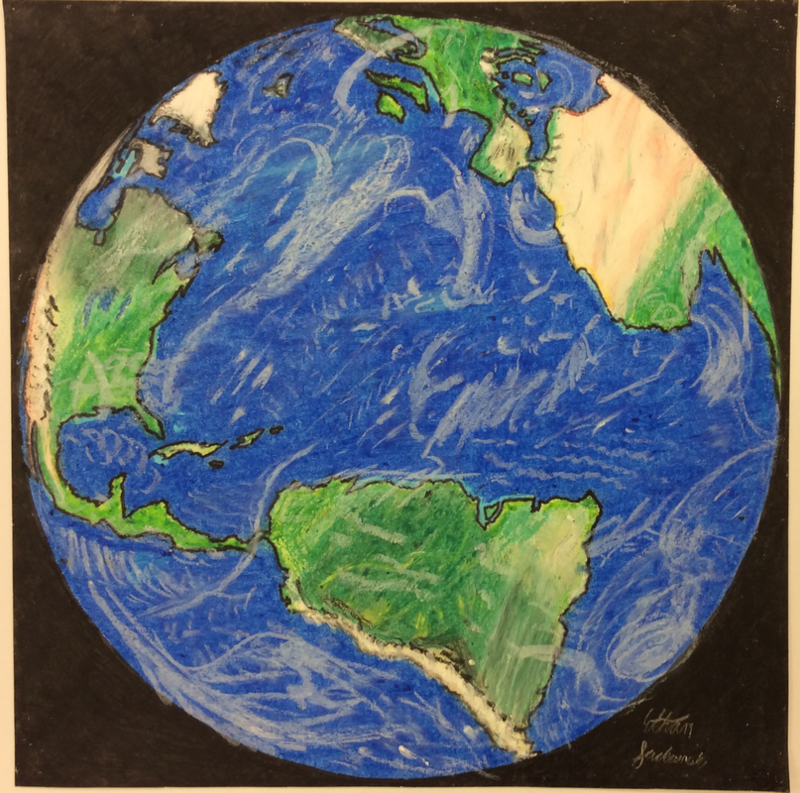 I overcame multiple obstacles in my Earth project with oil pastels. My problems were I didn’t know how to get my oil thick and I didn’t know how to properly texture the wavy sands of the Sahara. I overcame both these obstacles by practicing on a separate sheet of paper to see what would work. Our project looks like a dapper bird with a chill attitude just hanging out. 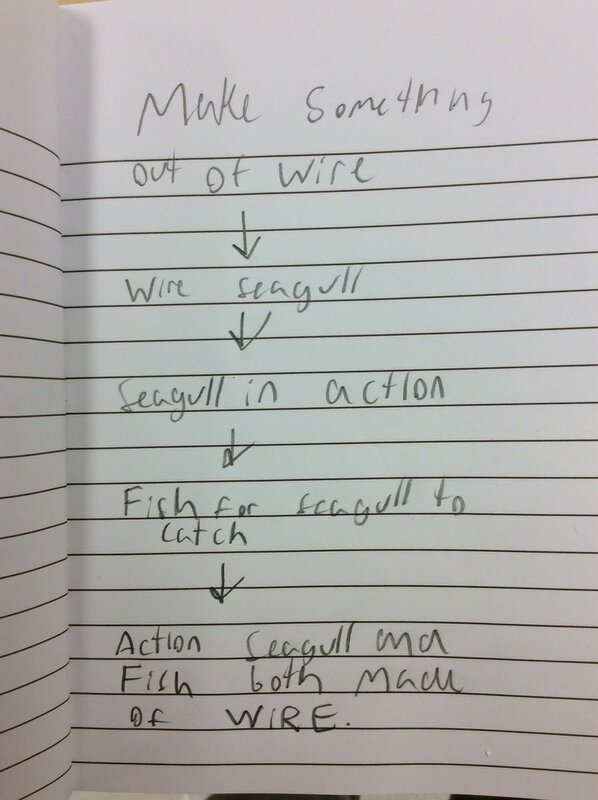 The subject matter is bird and more specifically seagull. The title I came up with is “Mr. Bonneville S. Petersworth” because that seems like the name he would have. The most prominent elements in our piece is form and space. 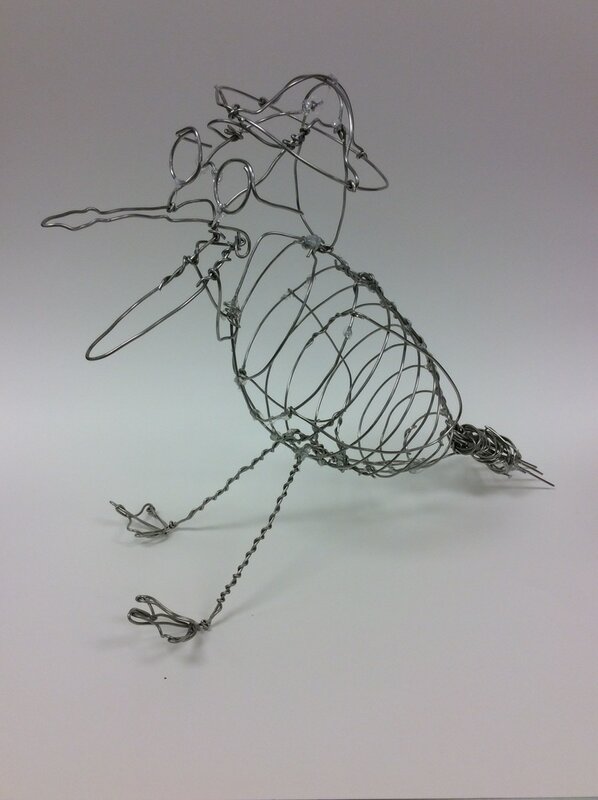 Our piece is made of soft metal wire and we used piers and scissors to cut and shape the wire. Also we used hot glue to connect some parts. No one inspired me to make this. It addresses no social issue and has no emotion. 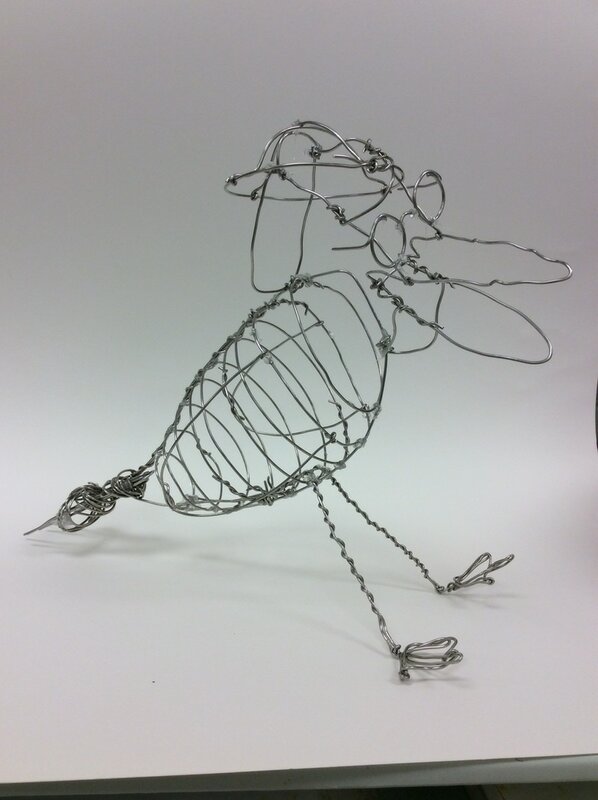 My goal as an artist was to make a funny looking bird out of wire and I accomplished just that. I learned during this project that working with wire can be difficult and glue as much as I did not want to use it made it much easier. This piece will influence any future wire projects because they will look better now that I am more experienced. Overall I am very pleased with how this project came out. My artwork is a bandanna with pockets. The subject is function and form, so I named my piece: “Blandanna”. This is because of the dull colors and minimal functionality. The most prominent elements in my piece are value and texture. My art is made of cloth which I cut up and glued together. I also sewed the buttons of the pockets on. This work is inspired by the lack of pockets on modern clothing. No social issue is expressed and my piece expresses a carefree emotion. 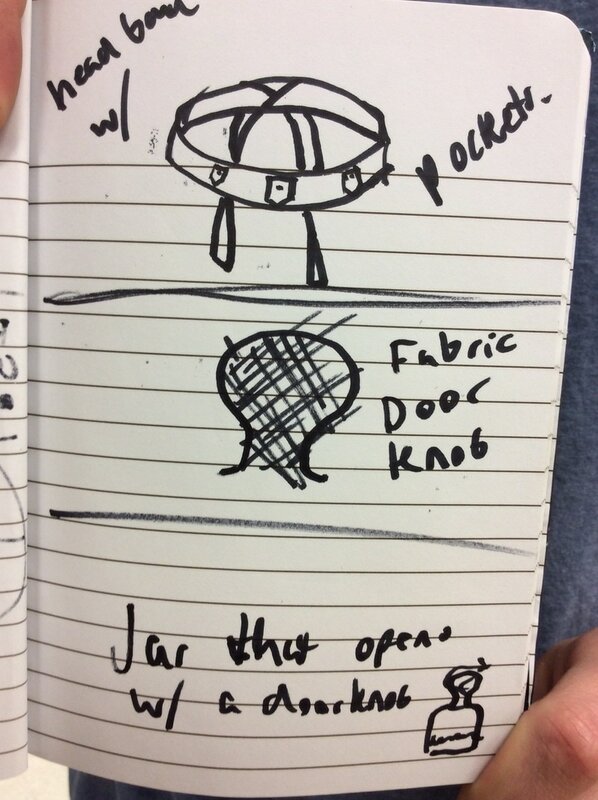 My goal as an artist was to create something fashionable and functional. This piece flawlessly accomplished my goals because it is both of those things. 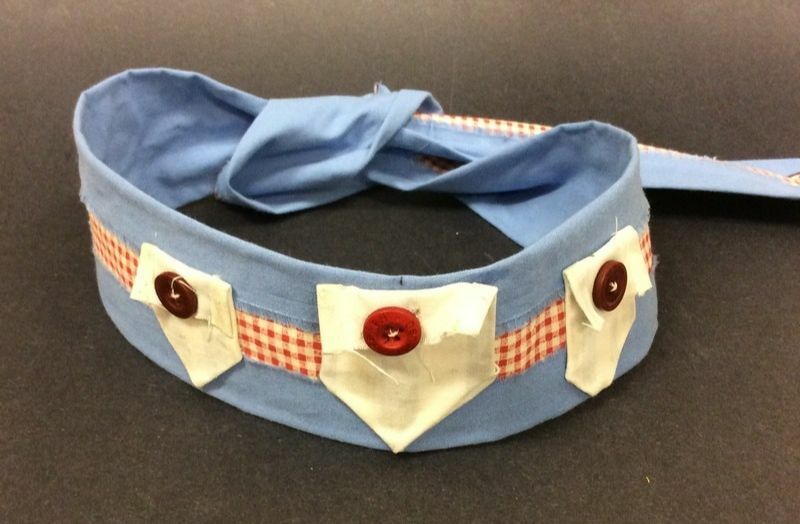 This work taught me that sewing is time consuming but satisfying. The final piece is what I imagined because it closely resembles my initial sketch. My future artworks should have better sewing. My art is a cardboard model of a Jeep body. The subject matter is my own 1995 2.5L Jeep Wrangler YJ in Patriot Blue. The most prominent elements in my piece are form and space. The media is cardboard. I used an exacto knife to cut the cardboard the connected the pieces with glue and masking tape. My Jeep inspired me to make this art, but to replicate the perfection of a Jeep as my goal defeated me as it can not be accomplished. It represents the social issue of time and taking sick days because I was not able to finish because of being sick. My art expressions disappointment because I wanted to finish it but the Taco Bell I ate for lunch has my stomach upset so I do not have the energy to. 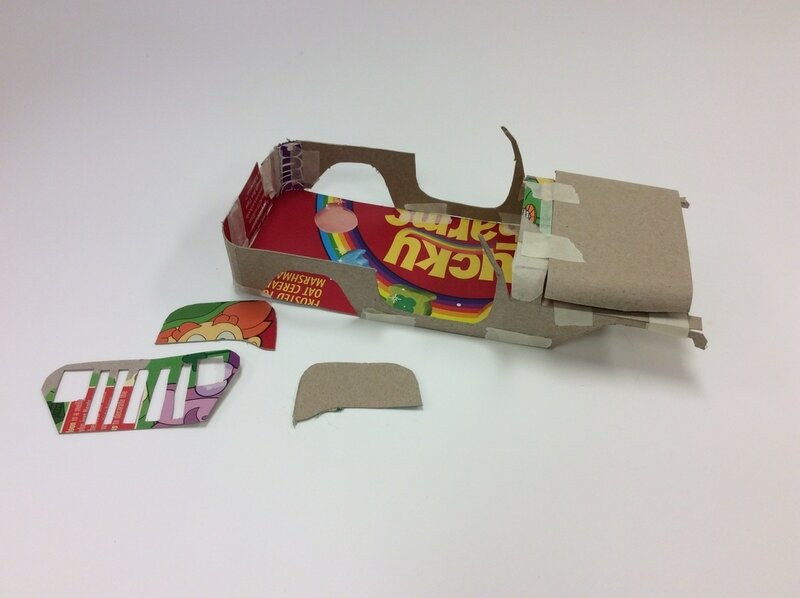 Throughout this project I learned that creating a model vehicle take a lot of work and detail. It is not as finished as my initial thoughts, and I will not be as ambitious in projects that I have only about a week to do. 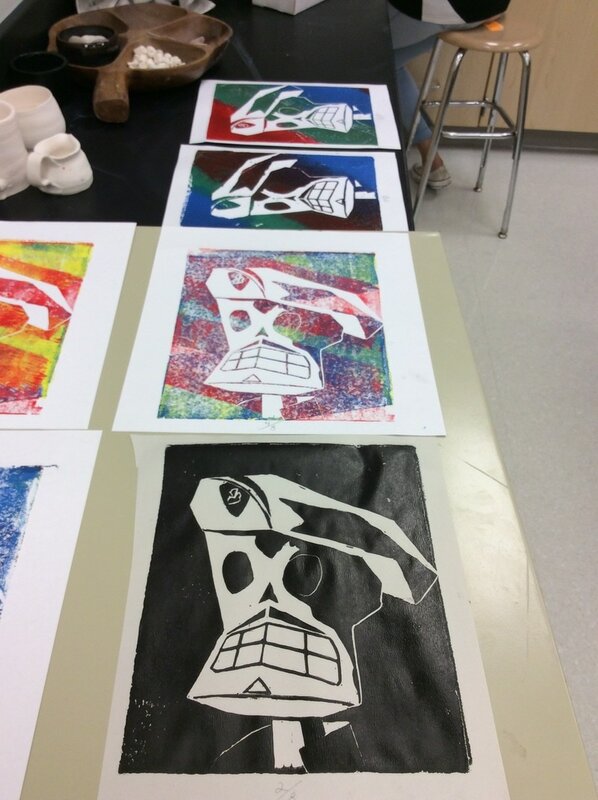 My artwork is a combination of four prints. Two thick and two thin. The subject matter is a character from the videogame Grim Fandango. The title is “Salvador” and I used the elements of space and value the most. To create my print I used carving tools on a linoleum block then applied printing ink onto it, then applied the block to drawing paper. 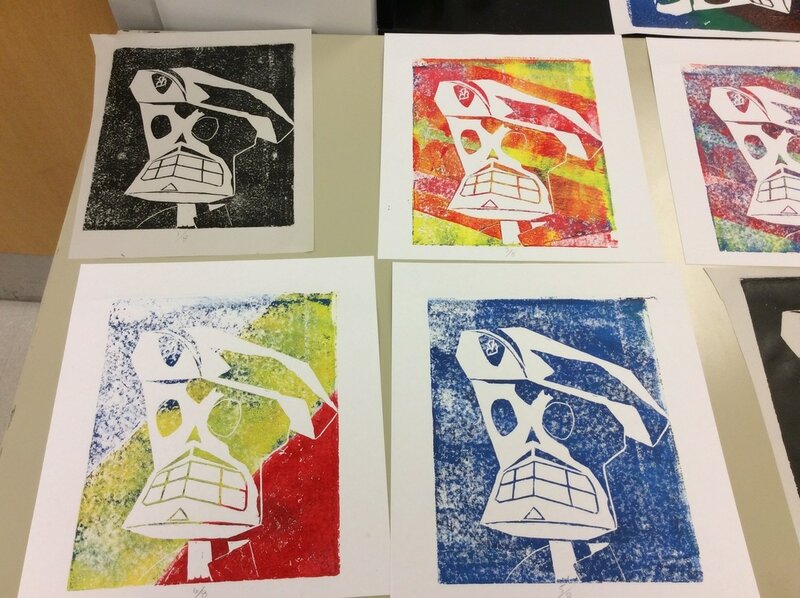 I was inspired to create this by the famous photo of Guerrillero Heroico, Andy Warhol, and the videogame Grim Fandango. I reached my goals on this project because I like the way it looks and that’s always my goal. My initial vision for this project was to make it look more pop-arty, and it came out as a collection of prints which I am not as happy with, but nonetheless I am fine with it. I have done printing before, so i’m not sure if this project will influence my future works that much.